Did God use evolution? Should Christians embrace evolution? 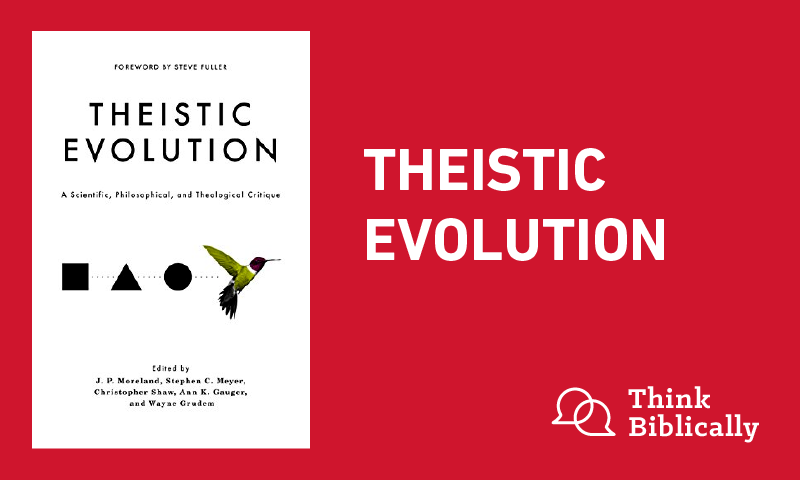 In this episode, Sean and Scott talk with the leading intelligent design proponent Stephen Meyer about the new book Theistic Evolution: A Scientific, Philosophical, and Theological Critique. Stephen C. Meyer received his Ph.D. in the philosophy of science from the University of Cambridge. A former geophysicist and college professor, he now directs Discovery Institute’s Center for Science and Culture in Seattle. He has authored the New York Times best seller Darwin’s Doubt: The Explosive Origin of Animal Life and the Case for Intelligent Design (HarperOne, 2013) as well asSignature in the Cell: DNA and the Evidence for Intelligent Design (HarperOne, 2009), which was named a Book of the Year by the Times (of London) Literary Supplement in 2009. Scott Rae: Welcome to the podcast, “Think Biblically: Conversations on Faith and Culture.” I'm your host, Scott Rae, professor of Christian ethics and dean of the faculty at Talbot School of Theology here at Biola University. Sean McDowell: I'm your cohost, Sean McDowell, professor of apologetics at Biola University, specifically Talbot School of Theology. Scott Rae: Hey, have you ever wondered about evolution, creation, theistic evolution, intelligent design, different views of the origin of life and the origin of the universe? If you've got questions about that, we have a world-renowned expert on a view known as intelligent design, who's with us today, Dr. Steve Meyer, who's both a geophysicist and a philosopher of science. He's a Ph.D. from Cambridge University, and currently with a group called the Discovery Institute, and one of the leading proponents in the world today of the view called intelligent design. Steve, thanks for being with us. We look forward to our time together. Let me start with this. What of the various options that are out there in terms of origins, why don't you help our listeners understand sort of the landscape, if you can just briefly identify what the main options are for understanding origins. Stephen Meyer: Well, I think there's even prior to that, there’s a main issue, and that is, did life originate as the result of the activity of a designing mind, of a conscious agent, or is it the product of purely undirected material processes that, as one neo-Darwinist put it, did not have us in mind. Mind or no mind? The debate about intelligent design and Darwinian evolution, and some of the more current versions of evolutionary theory is most importantly a debate about whether or not mind played a role at all rather than how long ago life originated or whether the pattern in the fossil record is continuous or discontinuous. Those are secondary issues. Sean McDowell: Recently, you co-edited a massive book, about 900 pages in length, called Theistic Evolution, with J.P. Moreland, Wayne Grudem and a few others. Let me play the skeptic a little bit and say, what's the big deal about evolution? Why commit so much time — theistic evolution — to critiquing a view held by some other believers? Stephen Meyer: Well, I think, first of all, the view is, because the theistic evolutionists have adopted essentially a moribund view of the science, they're embracing the mutation selection mechanism and other similar evolutionary mechanisms as the means by which God created; at the very same time, as many leading evolutionary biologists themselves are saying that these mechanisms are inadequate, they lack creative power, they explain common aphorism the survival but not the arrival of the fittest. Small-scale variation like finch beaks getting bigger and smaller, but not where birds come from in the first place. It's kind of an odd thing for so many in the Christian college world, and in the theistic evolutionary community at large to embrace those very same mechanisms as the means by which God created us. For example, the president of Biologos, Deborah Haarsma, did in a recent book on four views of creation, evolution, and intelligent design, she equated God's creativity with the action of the mutation natural selection mechanism. We think scientifically that that is unwarranted. The evidence for the creative power of that very same mechanism is nonexistent or extremely limited, and there are good reasons to doubt the creative power of the mutation selection mechanism, so why say that's the means by which God created? Much of the book concerns scientific problems with theistic evolution. It's kind of an irony right now because the mainstream evolutionary biologists themselves are in something of a disarray. There's many different new proposals being made. There isn't a single consensus view about the mechanism that would drive the evolutionary process. Increasingly we found that the only people that really contest our view of intelligent design and who defend mainstream neo-Darwinism are the theistic evolutionists. Maybe that's another reason to engage them. Sean McDowell: I had a chance to interview J.P. on my blog on that book, and it went nuts, like hundreds of people re-posting it. This book's in its third printing, even though it's an academic 900-page book. Do you think it's hit a nerve? If so, what is that? Stephen Meyer: I absolutely do, and it shocked us to tell you the truth. We produced the book, developed the book, thinking it would be a reference work for theologians, seminary professors, biblical scholars, some church leaders. But when we presented the ... we had a panel at the Evangelical Theological Society and the Evangelical Philosophical Society in Rhode Island in November, and there was six- or seven-hundred people in the room; it was packed. Biologos people were there making some spirited challenges from the floor afterwards. It was an electric atmosphere, and a lot of theologians and biblical scholars coming up afterwards saying this was long overdue — that the Templeton funded theistic evolutionists, or evolutionary creationist groups: the Faraday Institute in the United Kingdom, Biologos, Center for Theology and Natural Sciences, there's a number of these groups — that they've been having their way in this discussion without any opposition. And that many theologians have felt bullied — intellectually bullied, not physically bullied — but by only being exposed to one side of the discussion, and being told that science says definitively and without any room for questioning that some form of Darwinian evolution is the explanation for the origin of all new forms of life, and therefore they must, they're under an intellectual obligation to read Scripture through a Darwinian or an evolutionary lens. The main focus of my talk was to show scientifically that that's not true, that there are very good reasons for doubting the core claims of both contemporary neo-Darwinism and the more recently formulated versions of evolutionary theory, and that therefore theologians should not feel that they must reinterpret the whole of the Bible, Genesis, basic doctrines about the atonement or the fall in light of the alleged certitude that we have around evolutionary theory. We don't have such certitude. There are good reasons to doubt it — scientific reasons — and therefore, there isn't the intellectual obligation that people have been told that they have to interpret Scripture within that framework. Scott Rae: Okay, we'll get back to that. Stephen Meyer: Give you a taxonomy. Scott Rae: But for the person who embraces theistic evolution — our listeners may not be aware — can you be a little more specific about what biblical doctrines you think are actually at stake? Stephen Meyer: I think it might be helpful first to be a little more specific about the different possible meanings of the term theistic evolution, because a number of them are quite innocuous. We started the book, I wrote the opening introductory essay, a scientific and philosophical introduction. The theologian, Wayne Grudum, wrote the theological introduction. But I started by just defining the different meanings of the term evolution, because when you conjoin the term evolution with theistic or theism, you could mean a lot of different things. Evolution can mean just change over time. You think that God caused change over time, that's a meaning of theistic evolution which is entirely innocuous; it has no, I think, significant, poses no significant challenges to theological orthodoxy, and doesn't really challenge any well-justified scientific propositions either. Second meaning of evolution is the idea of universal common descent, that all organisms are related by common ancestry. I happen to be skeptical about that. Some proponents of intelligent design aren't, but it is at least logically possible to believe that God caused the kind of continuous change that is depicted in the Darwinian tree of life, and therefore you could have a meaningful form of theistic evolution that affirmed common descent. Though I think there are some very good reasons scientifically to doubt it. There's huge discontinuity in the fossil record, and increasingly we're realizing in the genomic patterns that we see. The third meaning of evolution is the affirmation of the creative power of the mutation selection mechanism, and other similarly undirected materialistic evolutionary processes. There are new evolutionary mechanisms being proposed, for example, self-organizational ideas, or epigenetic inheritance and things like that. That's where I think things get really problematic, and where we have challenged our friends in the theistic evolution world to clarify what they mean by evolution. Do you mean an embrace of the mutation selected mechanism? Do you mean a directed or undirected process? Many people don't realize that the mutation selection mechanism is, by definition, an inherently unguided undirected process within a Darwinian framework, because all good Darwinians from Charles Darwin to Dawkins, to other evolutionary biologists to the present, will deny that the appearance of design in living systems that all biologists recognize is actual or real. They want to say that appearance is an illusion, and its illusion produced by an unguided, undirected process. If it were a real design, then whatever process produced it must be guided or directed. But as soon as you say that you can't detect design, that the appearance of design in living organisms is illusory, then you're committing yourself to the idea that the mechanism that produced it is unguided. And so we've wanted to know from our theistic evolutionist friends, when you say you're a theistic evolutionist or an evolutionary creationist, do you mean by that the evolutionary process is guided or unguided, and they have been famously ambiguous on this topic in response. I think that's an important thing for them to clarify, but it's certainly where the difficulties most arise, and I can talk about that a little more. Scott Rae: I guess to play devil's advocate a bit, why couldn't the theistic evolutionists just say hey, we're agnostic about the specific mechanism that's used, but we know God somehow directed the process? Stephen Meyer: That would be a form of intelligent design. Because if God directed it, God is doing something. The problem with the position of theistic evolution as it's most commonly promulgated is that it's the form of evolution that is somehow attributing it all to God but yet unwilling to specify what, if anything, God did. That is partly a consequence of their denial that God's action is detectable, but also that God played any causal role in the directing the process towards any particular propitious end point. So you will have the affirmation that God upheld the laws of nature, and Deb Haarsma, when I challenged her in the four views book, is the evolution process directed or undirected, came back and said, “Well, my view is that God is upholding the laws of nature, and that's an active role.” Well, that's true, but the laws of nature don't generate new information. The laws of nature describe patterns of order that recur over and over again. They do not describe novelty arising. Sun up, sun down, all unsupported bodies fall. The same thing happens over and over again, if it does we describe it with a law of nature. To explain novelty, you need something more than laws of nature, and that something is either directed or undirected. Is it mutation, or is it design? And on that, in her, actually, in her reply, it was clear that she did not believe the evolutionary process was directed, only that the laws of nature were being sustained. We agree that the laws of nature are being sustained by God as theists, but we also think that God played an active role in generating novelty. Scott Rae: Give our listeners a one-sentence definition of your view of intelligent design. Stephen Meyer: Intelligent design is the idea that there are certain features of the universe and of living systems that are best explained by the action of a designing intelligence. Scott Rae: Scientifically, particularly in the last 50 years or so, what are some of the most powerful evidences that you've uncovered that lend credence to intelligent design? 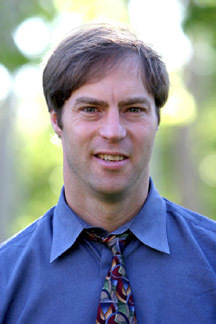 Stephen Meyer: In physics, the interest in design started with the discovery of the many separate, maybe three or four dozen separate fine-tuning parameters, features of the physical world, for example, the strength of the different fundamental forces; the ratio of those different strengths one to another; the speed of light; the expansion rate of the universe; the rate at which new space is created from in the expansion of the universe; and many, many other such parameters; the discovery that these were exquisitely finely tuned within very narrow tolerances to make life possible. We live ... it has been discovered in a kind of Goldilocks universe, where the fundamental forces are not too strong, not too weak. The speed of light is not too fast, not too slow. The expansion rate of the universe the same, not too fast, not too slow, and on and on through dozens of such parameters. Some of them are calibrated quantitatively hyper-exponentially. The so-called cosmological constant is finely tuned to one part in 10 to the 10 to the 123rd power, it's a hyper-exponential number. That means little tiny smidgen going in either direction, life is no longer possible. Many leading physicists saw from the outset of these discoveries that fine-tuning seemed to imply most logically, or naturally, a fine-tuner, an intelligent agent. Scott Rae: Okay, so there's a fine-tuning argument. Stephen Meyer: There's a fine-tuning argument in physics, yeah. Stephen Meyer: In biology, I think there's another kind of fine-tuning in the sense information; the presence of information in living cells is a kind of fine-tuning. But the big discoveries, I would say a number of things in biology, but first, there's been the discovery that at the foundation of life, in DNA and proteins, you have precisely sequenced subunits that are conveying and storing information, and that information, we know in our experience, is a product of mind or intelligence. Our local hero in Redmond, Wash., where I have my office, Bill Gates, says that DNA is like a software program, only much more complex than any we've ever created. We know from experience that software always comes from a programmer. It takes a programmer to make a program. We know more generally that whenever we see information arising, whether it's in a written text or a hieroglyphic inscription or a paragraph in a book, or even the information that's used in computer simulations of the evolutionary process, the information has always come from an intelligent agent. In the case of these evolutionary algorithms, it came from the programmer who wanted to simulate the evolutionary process. The program only works if there's an input of information from the programmer. Information is a mind product. That we have discovered it at the foundation of life suggests that the origin and development of life was produced in some measure by the activity of a designing intelligence. Now that you're a couple decades in, where do you predict and see this debate and conversation going? And second, what are you excited about in terms of what you see in the world coming up of intelligent design? Stephen Meyer: Terrific questions — both. Actually I'll be a little provocative here, but I think the Darwinist edifice has already crumbled. I don't think evolutionary naturalism has crumbled, because there's a worldview commitment to that way of interpreting data. Methodological naturalism, the idea that you must explain all things by reference to purely undirected materialistic processes, but the main current, the modern version of Darwinian theory, called neo-Darwinism, or the neo-Darwinian synthesis, I think is effectively dead. Stephen J. Gould said this back in 1980, 1977, something like that, but I attended the Royal Society Conference in London in 2016, and it was called by leading evolutionary biologists who are now openly not only acknowledging, but calling for ... acknowledging that neo-Darwinian is dead, and calling for a new theory of evolution because they realize that the mutation natural selection has very limited creative powers. We were saying earlier, and it makes sense if you think, for example, of the importance of information to living systems, we know from experience that if you start to randomly change say the zeros and ones in a section of digital software code, you're gonna degrade that information long before you ever come to a new functional program, algorithm, or operating system. I've shown in both my books, particularly in Darwin's Doubt, that the same thing turns out to be true mathematically of the attempt to generate new genes from preexisting genes, new sections of functional DNA from preexisting sections of DNA, by the mutation selection mechanism. That's just one of a host of problems confronting the claim that the mutation selection mechanism has creative power. The leading evolutionary biologists are smart enough to know about these problems, and many of them have written about them themselves. They're looking for a new theory. I think neo-Darwinism is dead. Whoever predicted that in 2004 was correct. In fact, Jim Shapiro, who was at the Royal Society Conference, has been, I'm getting this secondhand, but rumored to have said that criticism of neo-Darwinian is so early nineties. It's passé. Shapiro is very credible, you know, attribution. I didn't hear him say it himself, but it's credible because he's involved in trying to formulate a third way, not intelligent design, but not neo-Darwinism either, a new theory of evolution. The problem with the new theories of evolution is that they've been subject to the same fundamental problems as neo-Darwinism. Neo-Darwinism, they have offered some new insights that have been really valuable. Shapiro's got this great work on what he calls natural genetic engineering, and how organisms have a pre-programmed adaptive capacity to certain environmental stressors so that allows them to adapt we would say within limits. But they do adapt, they do. The question that Shapiro never addresses, however, is the one that we're most interested in: where did the pre-programming come from? He says it's under algorithmic control. Where'd the algorithm come from? Even his model, which has got a lot going for it, doesn't answer the fundamental question that we think is the driver of the inference to intelligent design, because we know that programming comes from programmers. Sean McDowell: It's really a worldview issue at its heart. Stephen Meyer: There's still a commitment on the part of the evolutionary biologists who have abandoned neo-Darwinism to a strictly materialistic theory of some kind to explain the origin and development in life. They're not going to go for ID, but that's a philosophical commitment; it is not an expression of the strength of their scientific theorizing. Sean McDowell: So what are you excited about coming up in intelligent design then? Sean McDowell: Oh, my goodness. Stephen Meyer: So I finally did get a serious review in Science, from Charles Marshall, a leading evolutionary biologist and paleontologist of the Cambrian Explosion, as it happens, at University of California, Berkeley. I was thrilled at the review. It was negative, but I was thrilled. It was respectful. It had some nice things to say about how well-written the book was and so forth, but the main thing was his criticism. He says, Meyer claims, I'm paraphrasing a bit, but you can find it, I've got it online, he says, Meyer claims that you need new information to generate these new Cambrian animal forms. He says that's not our current understanding. All you would need would be for the evolutionary process to rewire the gene regulatory networks that control animal development and the expression of other preexisting genes. The words preexisting genes ought to be a tip-off, because I'm challenging to explain the origin of information, and he posits a process that actually invokes three significant sources of preexisting information. First, the gene regulatory networks, which are networks of interacting genes, functionally integrated gene networks that do control the timing and expression of other genes. The gene regulatory networks are chock-full of genetic information. They act on other genes for building the protein parts of various other systems in animals. Then to rewire one of those systems, you would have to have multiple changes, coordinated changes in code, which would be another source of information. So to answer the challenge that hey, you guys in the evolutionary world aren't explaining the origin of the information, he responds and he posits effectively; he presupposes three significant but unexplained sources of information. If that's the best that the best can do, and I would assert that Marshall is one of the best, he's terrific, then I think that the whole evolutionary paradigm, the whole naturalistic evolutionary paradigm is in serious trouble. And so for me, for us, we can keep flogging that argument, we're happy to do it, but more exciting is to start to take these concepts and use them heuristically to guide new research, and that's what we're doing. We've got a number of new research projects that are based on our core ID concepts. There are some people for whom there is not enough, there will never be enough evidence to change one's mind. We're not gonna wait around for ... what was the ... the bitter-enders. We're gonna move on with our own scientific research program. That's where I think it gets really exciting. Sean McDowell: Dr. Stephen Meyers, I have so many more questions for you, but that's why I'm gonna encourage our listeners to get both your books. They're scholarly, first-class, but they're eminently readable even to non-specialists. Darwin's Doubt and Signature in the Cell are just outstanding works. Before we close, I want to personally thank you for, number one, just doing great scientific work. But also the way I've seen you interact on a number of occasions with skeptics, with people that push back hard, you have a generousness about you and a graciousness about you that I think is a model certainly of what we want to do at Biola, and we want to see in the next generation. Thanks for having that spirit and hard work, and probably taking some shots from people in the church and outside, but just standing firm with graciousness. We really appreciate the work that you do. Stephen Meyer: That's very kind of you to say. Thank you. Sean McDowell: This has been an episode of the podcast, “Think Biblically: Conversations on Faith and Culture.” To learn more about us and today's guest, Dr. Stephen Meyer, and to find more episodes, go to Biola.edu/ThinkBiblically. That's Biola.edu/ThinkBiblically. If you enjoyed today's conversation, give us a rating on your podcast app, and share it with a friend. Thanks for listening, and remember, think biblically about everything.